It's a good idea, this app that's meant to streamline routine requests to the city. 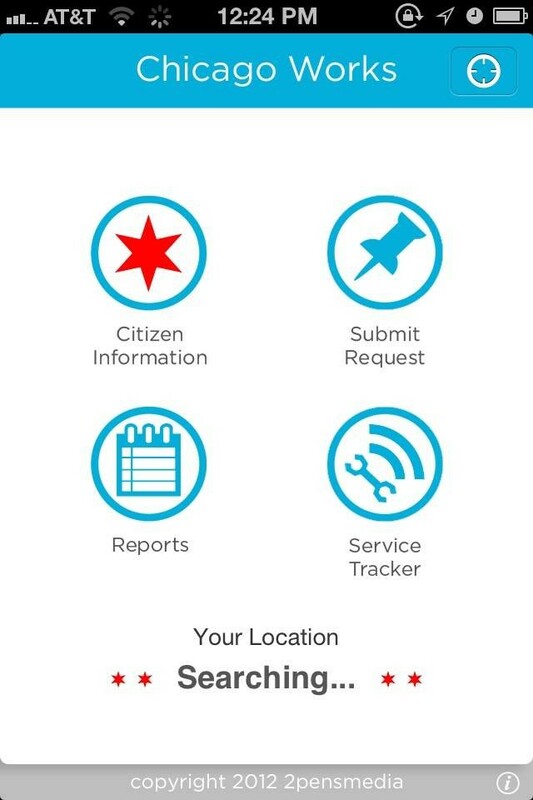 Download Chicago Works to your phone, and you should be able to report most of what you'd call 311 for—restaurant complaints, abandoned vehicles, blank traffic signals—and track those requests. "Simply put, you can watch your tax-dollars work for you," the PR says on its iTunes page, where you can download the app. There are 800 monthly users, reported whoever is in charge of the app's Facebook page on Tuesday, whether that's developer 2pensmedia Inc. or alderman Ameya Pawar, who built the first version during his campaign, he told me, and who's been a sort of project manager. "We get a lot of service requests that are often repeats, or people call in for 311 and then call in upset three weeks later," Pawar said when I called in to complain that the app wasn't working on my phone. "It lets people see that there's a rhyme and reason for why things are the way they are and why they work the way they do. . . . it'll also put a spotlight on various departments and how they function." All good points, as well as the app's potential to determine where a problem lies. (Say several people on the same block report low water pressure. The data points to a downed water main, and crews can be dispatched faster.) There are more updates coming soon, including the ability to see a more organized list of requests, rather than a stream of the ones made most recently in the city—fascinating in its own right—thanks to the app's integration into the city's 311 data. In the meantime, I only had to delete the app and download it again to get it to work. Now, to start reporting some graffiti . . .